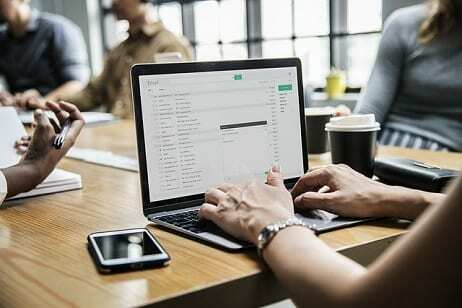 Despite the growth of different types of communication platforms such as social media sites Facebook, Instagram and Twitter, the email has remained one of the most common tools for individuals, small businesses and large organizations. Gmail is one of the email platforms that offers a wide range of features suitable for individuals as well as small and big businesses. Integrating Gmail with the CRM (Customer Relationship Management) application can place organizations in a better position to view and manipulate customer data, lead generation, and interactions much more effectively. Streak is a common CRM system designed for small businesses looking for a Gmail CRM integration. It has an intuitive user interface as well as useful features that are ideal for individuals and businesses. Pipelines: Streak organizes workflows into modules referred to as pipelines. You can have sales, marketing, fundraising among other pipelines. You can use these pipelines for event planning, sales campaign, travel planning, and other projects. Tracking: The CRM also has structures referred to as boxes. Boxes can be used to automatically add contacts and to track and update your contacts within your workflow. Lead Generation: Streak is a useful tool for lead generation. You can see who has viewed your emails and when. You can also sort out the emails and respond to the most urgent ones. Pricing: The personal package is free and has limited features but you can upgrade to enterprise or professional. Personal Package: Free for users. It has power tools and only limited CRM features. You can track up to 200 emails. Professional: Costs $49 per user per month. It includes all the CRM features, and API integration capabilities. Enterprise: Costs $99 per user per month and you must have a minimum of 10 users. It is suitable for enterprises that need advanced data validation, recovery and reporting tools. Zoho is a company that produces a wide range of software applications to provide solutions for project management, affiliate marketing, business intelligence software, and more. The Zoho CRM can be integrated with a number of applications including Gmail. Task Automation: You can automate a wide range of tasks with Zoho CRM. With this application, you can define your work area and let the application develop the workflow for you. You can view all your Gmail interaction from your CRM. Lead Generation: Zoho CRM gives you the ability to manage contacts from your Gmail account and analyze them according to criteria such as account, product, purchase history, and status. You can use historical data to identify inactive leads and target them with new messaging. The web form feature allows you to quickly create web forms for capturing leads online. Social Media Integration: Zoho can capture your social media interactions and classify them as prospects or leads. You can then add these contacts into the CRM or Gmail contacts. Standard: Costs $12 per user per month and billed annually. You can use it for sales forecasting, to create web forms as well as graphs and KPIs, as well as to set workflow and lead scoring rules. Professional: $20 per user per month. Includes the features in the standard package, plus features such as creating and tracking unlimited records, inventory management, and social media integration. Enterprise: $32 per user per month. Some of the unique features of this package include multi-user portals, the creation of extra modules, buttons, and subforms, and Predictive AI to detect anomalies. Ultimate: $100 per user per month. It has advanced features which make use of predictive AI to solve problems. For example, the Email sentiment features can analyze patterns in your email to alert you of an urgent or a negative response in your inbox. Manage Contacts: You can add, view and save your email contact through Insightly’s easy to use user interface. You can organize your contacts into categories such as vendors, suppliers, and prospects, and check their history, appointment dates, and perform background checks. Social Integration: Allows you to enter email contacts and integrate them with social media accounts to find out which accounts are participating. Mobile: You can use some of the features while you are on the go. The application is accessible on various mobile devices such as the Ipad, iPhone, Google Nexus, etc. Plus: Billed annually and is $29 per user per month. You can create 50 custom fields and work with 100,000 records. This basic package also has the mobile integration feature. Professional: $49 per user per month. Work with up to 250,000 and create 100 custom fields. Other features include standard and custom dashboards, custom reporting, workflow automation, and role-based permissions. Enterprise: $100 per user per month. You can work with unlimited records, create 200 custom fields, create dynamic screen layouts and the use of SAML sign-in system to enhance security. The type of Gmail CRM you choose will depend on where and what you intend to use it for. For individuals and small businesses the Streak CRM offers users the best combination of user interface and useful features for marketing, sales and lead generation as well as managing contacts.